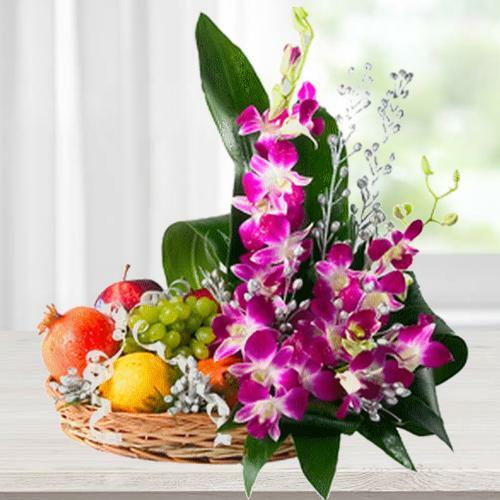 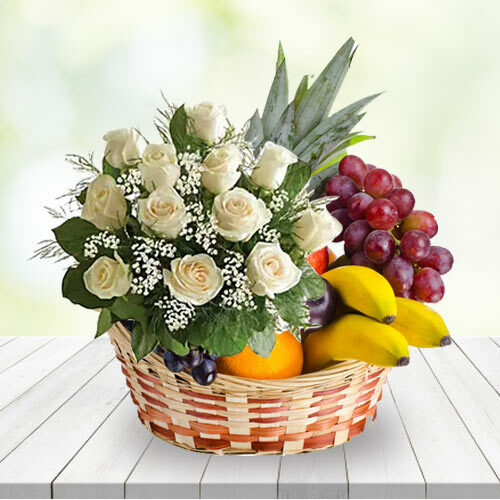 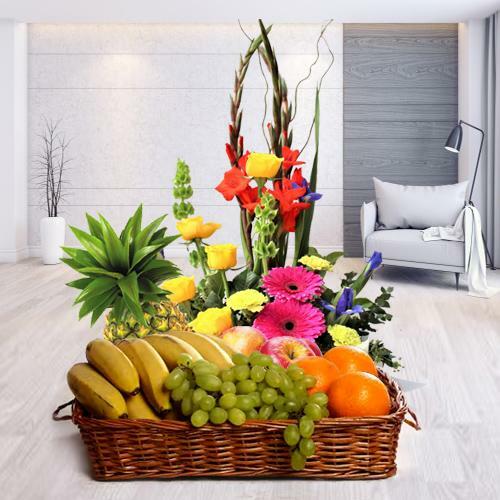 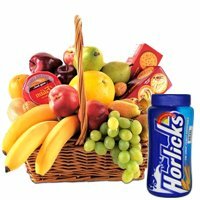 Now-a-days Sending Fresh Fruits Basket is considered a trendy gift for festive occasions or for sending greetings on Birthday, Anniversary, Mother�s Day, Diwali, Christmas, New Year etc as most of the people are turning health conscious. 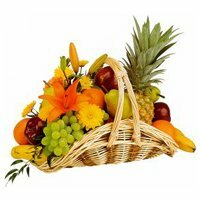 To send the right kind of Fruit Basket visit our website where you can find huge array of carefully-selected Fresh Fruit Baskets comprising of Apples, Grapes, Banana, Papaya, Mango, Litchis, Pomegranate, Pears, Guava, Peach, Orange, Pineapple, Kiwi, Watermelon and lot more Fruits. 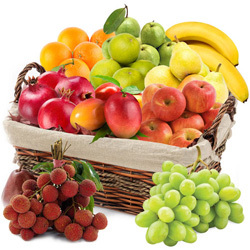 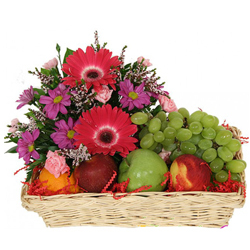 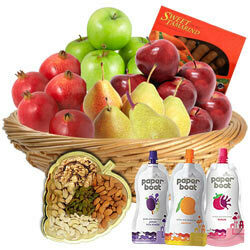 So, select carefully and send Fruits Basket to Gwalior Same Day at Low Price. 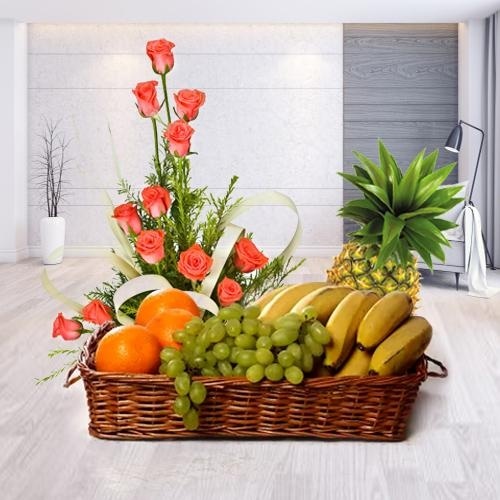 With our Quick Delivery service we can Send Fresh Fruits Basket on the Same Day and also at mid-night to every nook-n-corner of Gwalior including Gandhi Nagar, Madhav Ganj, Hurawali, Darpan Colony, Vijaynagar, Birla Nagar, Gurunanak Nagar, Aditya Purum, Fort View Colony, Gadhaipura and so on. 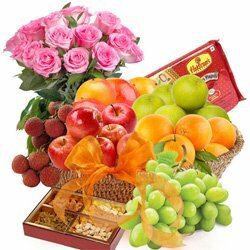 Avail our assured Quick Delivery service and Send Fresh Fruits to Gwalior Same Day to show love, care and affection for your adorable ones. 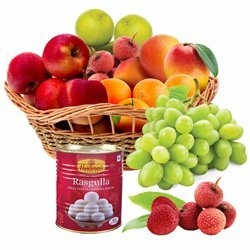 For this we offer you our vast collection of fresh and juicy Seasonal Fruits such as Grapes, Banana, Papaya, Mango, Litchis, Pomegranate, Pears, Guava, Peach, Orange, Pineapple etc at Low Price. 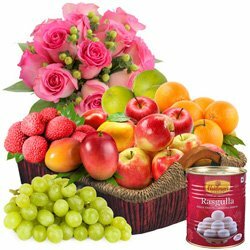 Along with Fruits Basket you can also add-on delicious Cakes, lovely Flowers Bouquet, Chocolates, Greetings Card etc and Send Fruits Basket to Gwalior decorated with Flowers and Ribbons. 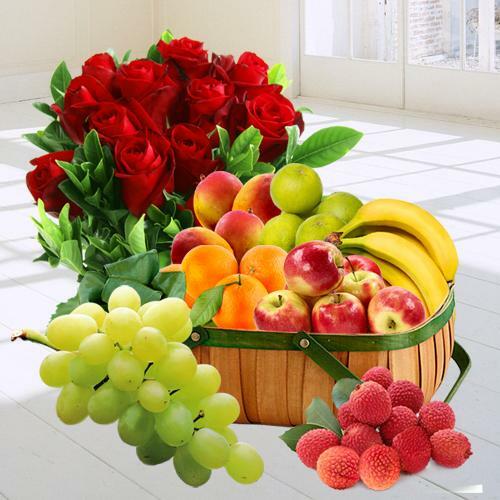 No matter which part of the world you are say USA, UK, Canada, Australia or Middle East, through our website you can chose to Send Fresh Fruits to Gwalior, MP on the Same Day with Free Shipping service. 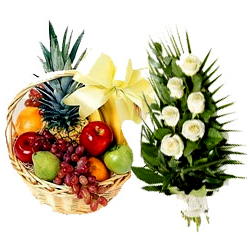 Make Birthday, Marriage Anniversary, Valentine�s Day and other special day a healthier and memorable one by Sending Fresh Fruits to Gwalior Online availing our Quick Delivery service. 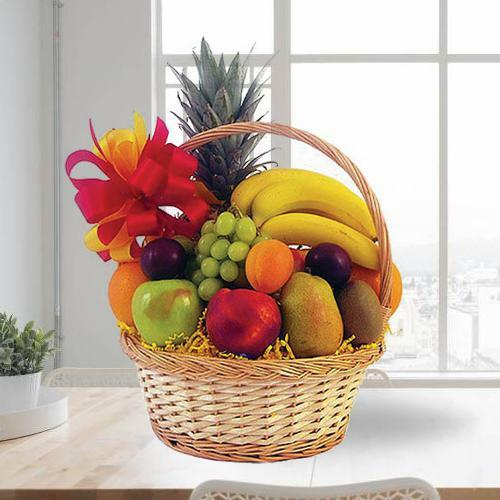 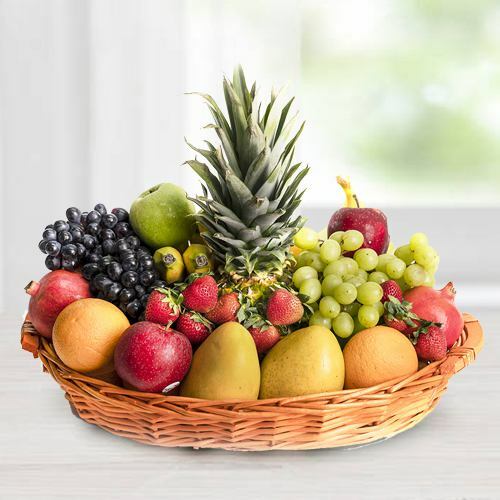 Send deepest love and best wishes to your loved ones with a Fruit Basket Hamper from our e-shop as our range of Fruits Basket is decked with assortments of Fresh Fruits like Pomegranate, Pears, Guava, Peach, Orange, Pineapple, Kiwi, Green Apple, Watermelon, Strawberry, Coconuts and lot more Fruits available at Low Cost. 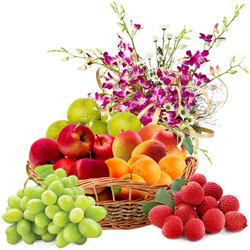 Also we offer great opportunity of Free Same Day Delivery and Mid-night Delivery for Sending Fresh Fruits to Gwalior within 4-6 Hours of placing an order.